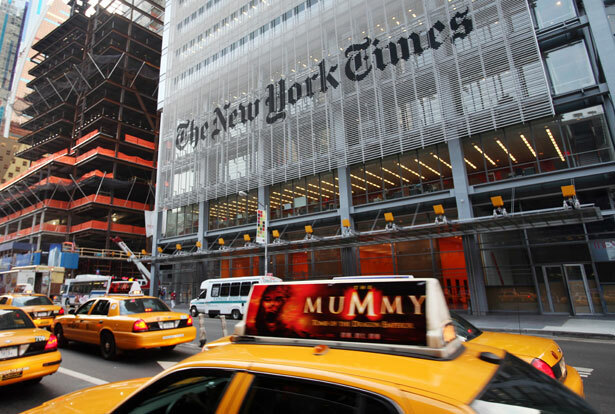 Why is the political coverage in The New York Times so lame? But there is one significant area where the Times continues to fail both its readers and the country: national politics. This weakness is not exactly news: one need only think of Jeff Gerth’s mightily overblown Whitewater reporting or Frank Bruni’s toadying coverage of George W. Bush (to say nothing of the deadly lies passed along by the same president, care of Judith Miller). The weird mind-set of the paper’s political coverage—which, to be fair, appears to infect most insider coverage—amounts to a contempt for issues and, often, for truth, lest either interfere with the personality-based narrative that serves as the capital’s conventional wisdom. In the current century, the most damaging of these narratives is the one that posits a Republican Party with competing factions, one “conservative” and the other “moderate” or even “centrist.” In fact, the party has been wholly taken over by ideologues so extreme that their views—and policy proposals—bear no resemblance to the laws of science, economics or, in many cases, reality. But the Times’s reports consistently elide this truth, up to and including omitting crucial facts in order to craft a false and far more comforting fable. In this fantasy, John McCain is also a centrist and moderate who advises Bush, “I think if you look back, despite the far right’s complaints, it is the centrist that wins the nomination.” McCain, Nate Cohn informs us, “won the Republican nomination in 2008 by running as a ‘maverick’” owing to the fact that “In the years before his campaign, he co-sponsored an immigration reform bill and a plan to regulate carbon emissions. He bashed ‘extremists on the right’ in a previous presidential race.” Note the weird tenses in the above sentences. Yes, McCain did those things, but only as a losing candidate. In order to win the nomination, he had to reverse himself and run as a reliable, far-right extremist. Next we are told that “Mitt Romney won the nomination even though he had enacted a health care plan that served as the model for the Affordable Care Act. He had supported a long list of liberal positions in his various runs for statewide office in Massachusetts.” Once again, might it matter that Romney, too, also condemned the very policies he’d once supported in order to win his party’s presidential nomination? It’s not as if sophisticated reporters like Martin and Cohn (and their editors) are unaware of these reversals. It’s just that they get in the way of the story each wishes to tell. Because at least Martin allowed for the fact that Jeb Bush is “deeply conservative on some issues such as taxes and abortion,” let’s take a look at some of the other positions he holds that apparently do not disqualify him from being called a “moderate” and “centrist” according to the Times. On economic matters, Bush endorsed Paul Ryan’s punitive budget that seeks to zero out virtually all federal assistance to the poor. He also supported George W. Bush’s deeply unpopular plan to privatize Social Security. On social matters unrelated to abortion, Jeb sees “very strong justifications” for restrictive voter-ID laws that are transparently designed to reduce minority participation. He not only opposes gay marriage but says he “personally” believes that gay couples should be denied legal adoption rights; he also opposes all legal protections for LGBT people, calling them “special rights.” He happily signed the NRA’s “stand your ground” legislation, which led to the legal murder of Trayvon Martin. Regarding science, he has moved from the completely ridiculous position of disputing the fact of global warming to the only slightly less ridiculous one of questioning whether it is “disproportionately man-made”—a position that puts him at odds with approximately 97 percent of the world’s qualified climatologists. On Cuba, he has also sided with the crazies. The list continues almost indefinitely. True, Jeb Bush may be a “moderate” or “centrist” in a context where one of America’s two political parties has all but gone insane. But without such context, those labels are a lie—one that not only misinforms readers but also dishonors a great newspaper.